While the poverty rate has started to drop, South Carolina’s student loan debt is $30,564 per graduate, which is the ninth worst in the country.2 As a result, many residents might be looking for alternative means for making ends meet, such as payday loans and title loans in South Carolina. However, it is important to read the information below before getting trapped in an endless cycle of debt with South Carolina payday and title loans. Prior to the payday loan regulations, the number of payday loans in South Carolina exceeded 4 million a year.10 Since then, the number of payday loan stores statewide dropped significantly.10 However, those same payday lenders in South Carolina are simply going by a different name and holding themselves out as short-term lenders. Repayment Plan:Yes – Once per 12-month period with at least 4 equal installments and no additional fees. Lawmakers took the right steps toward protecting residents of South Carolina from payday loans, but they didn’t cover all loopholes. Instead, payday lenders have transitioned to short term loans to maintain high interest rates as well collateral for loans. Payday loans in South Carolina might sound like a quick fix to your money issues, but they’re not. South Carolina lawmakers worked to further protect borrowers from getting further in debt by implementing restrictions on loans. However, title lenders have found a way to work around those restrictions. South Carolina’s Legislature took the right steps in protecting borrowers from the predatory ways of title loans by implementing a rate cap for loans below $600. In response, title lenders began making the amounts for title loans $601 and higher to avoid these rate caps.3 If South Carolina is to protect their residents from these “loan sharks”, they need to find ways and develop laws to better govern these types of lenders. 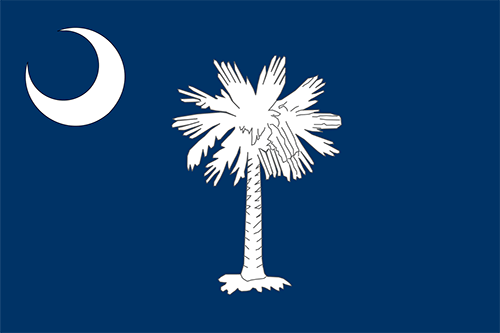 So, you’ve taken out a payday loan or title loan in South Carolina, now what? If you are experiencing harassing phone calls, emails or other disruptions you don’t have to just put up with the threats. Reach out to the South Carolina State Board of Financial Institutions to file a complaint (the information is at the right). You can file a complaint and a representative will work to help resolve your issue. Aside from the South Carolina Sate Board of Financial Institutions, you can find help and guidance with South Carolina Appleseed Justice Center. The South Carolina Appleseed Legal Justice Center is an advocate for low-income residents of South Carolina on a variety of issues, including payday loans. Contact South Carolina Appleseed Legal Justice Center for more information on predatory lending and how they can help. The payday loan and title loan industry isn’t making it easy on lawmakers in South Carolina. With every court case against predatory lending, payday and title lenders continue to fight back or find loopholes around the implemented laws. To help South Carolina and various lawmakers continue their fight against predatory lending and to better protect you, reach out. By understanding warning signs, South Carolina laws and where to report a lender or seek outside help against payday and title loans, you can help set new laws and legislations in place. It may not change for the better overnight, but it’s a step in the right direction for improving the needs of South Carolina residents. This page has been created as a go-to resource for title loans and payday loans in South Carolina so you can get all the information you need to stay informed—share this page, use it and spread the word about predatory lending. You know payday and title loans in South Carolina are a problem. But what about at the city level?